Pulling off your “dream wedding on a limited budget” means utilizing techniques that have worked for others. In that spirit, I’ve found three recent blog posts from around the Web that will help you do just that. I’ve outlined 12 ideas below (whether they are right for you depends on your priorities or preferences), along with links to the full posts, where you can find wedding photos and details. 1) DIY projects requiring hot glue may not be the way to go, no matter what your budget! 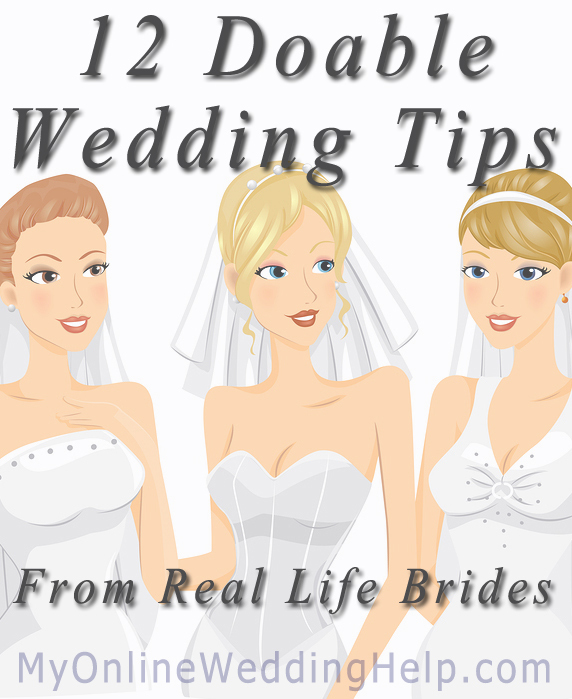 2) If nausea at how much you are spending repeatedly overwhelms excitement of getting married, your budget is too high. 3) Following #2, skip the large church wedding and get married in front of family and close friends at a quaint courthouse. 4) Go to brunch instead of having a full blown reception. Chelsea had an adorable pink, rustic wedding with seven bridesmaids and seven groomsmen. A bunch of photos and more details about her planning are here. 5) If you make everything and have it at a farm you can plan your wedding on $2,500. 7) A wedding is about uniting and celebrating two people becoming one, not fancy stuff. It sounds as if Jessica’s enthusiasm nearly put William “over the edge.” But in the end they had a magnificant wedding by hiring several vendors, completing do-it-yourself projects where possible, and keeping to their $15,000 budget. Read about it and check out pictures here. 8) Hand-scooped waffle cones are a yummy hit. 9) Incorporating heritage into the wedding gives it more meaning. 10) Sneaking in references to the couple’s nicknames for each other is fun, too! 11) Recruit family and friends to pitch in; especially professionals like Mom the florist. 12) The blood, sweat, and tears of pulling together a small budget wedding makes it even more special in the end!